If you like life in the fast lane, then the BAI Grain Diverter is your facility loadout’s new best friend! Efficient. Greatly increase capacity when loading railcars with DDG or other difficult flowing products. Controlled deflection wings fill railcars or open trucks to diameter-specific allocation, seizing those hard to reach corners! Meticulous. Lower your shipping costs by filling containers faster and fuller. The Grain Diverter is durable and effortlessly directs large volumes of aggregate to keep your system running smoothly. Diverse. Allies your existing facility loadout. The Diverter fits any telescoping or fixed load-out spout. Cost Effective. Return on investment is often achieved on your first loaded train. Low Maintenance. The Grain Diverter is built tough requiring little to no maintenance. The pneumatic system is easy to access if maintenance is ever required. Ease of Installation. 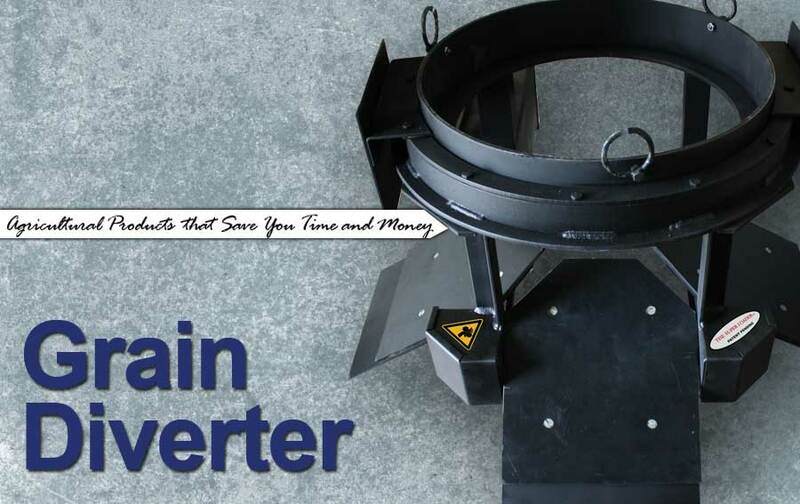 Weighing only 90 pounds, the Grain Diverter installs easily. Each paddle is equipped with adjustable deflection wings to fit your container perfectly- changing the unload diameter can be performed in under ten minutes. The BAI Grain Diverter is easy to install and adjust. Weighing about 90-pounds, a team can simply lift it into place under the existing loadout. Each paddle is equipped with adjustable arms to span unload up to 14 feet in diameter. Don't waste those corners- set your unload to fill every inch! A pneumatic pedal allows for hands free adjustment of the Grain Diverter. You'll enjoy finding new tasks for the rest of your team because unload with this tool is now a one man job! Click here to view the BAI Grain Diverter in action!